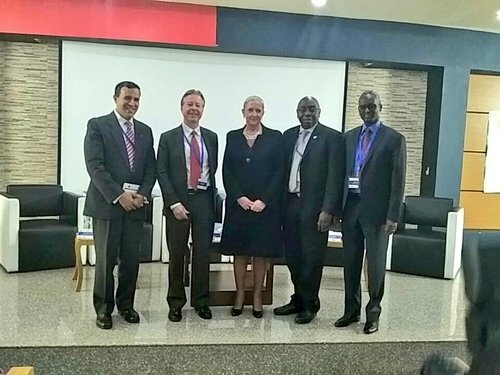 London UK & Nairobi KE, May 23, 2018, CaseLines and Strathmore University, today announced a partnership to provide free access to its digital evidence management platform for students of Strathmore Law School. Strathmore Law School’s vision is to be a centre renowned for excellence in legal education and research, guided by a commitment to pursue justice, to cultivate lawyers of professional competence and moral conviction, and to be the region’s hub for change agents. Students benefit from practical learning through legal research centres and clinics that have been established within. Strathmore works closely with local and international law firms of high repute to for job placements, internships and attachments. Visiting professors are drawn from some of the most prestigious law schools in the world. An academic trip abroad is organized for the students of the Law School to get a chance to participate in an academic trip to Europe that exposes them to various international legal institutions, other prestigious law schools and gives them a chance to interact with senior international legal practitioners e.g. judges, prosecutors, defence lawyers etc. Netmaster Solutions developer of CaseLines, is the leading global provider of software as a service (SaaS) for the electronic preparation, collaboration and presentation of evidence/legal bundles, documentary and video evidence in the court room. CaseLines enables courts, law firms and corporate legal departments to increase efficiency, reduce costs and improve productivity. Eliminating the direct and indirect costs of paper and PDFs, CaseLines allows courtroom presentation of the bundles without the added cost of a courtroom operator. CaseLines is used in the Supreme Court, Civil and Public Law cases and in the Crown Court Digital Case System (“CCDCS”) across England & Wales and the dispute resolution authority for the Dubai International Financial Centre Courts. CaseLines systems hold over 300,000 cases, with over 75 million pages of evidence. This press release was distributed by ResponseSource Press Release Wire on behalf of CaseLines in the following categories: Business & Finance, Education & Human Resources, Public Sector, Third Sector & Legal, for more information visit https://pressreleasewire.responsesource.com/about.